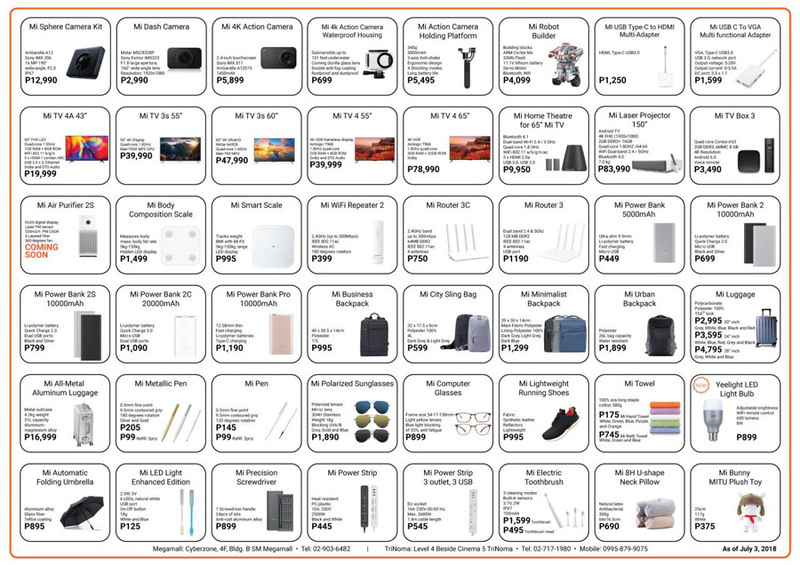 We have the updated list of the gadgets and accessories you can buy at the official Mi Stores in SM Megamall and Trinoma. UPDATE: We have an updated catalog of products and Mi Stores in the Philippines HERE. If you have been to any of the authorized Mi Stores in the Philippines, then you’re familiar with the plethora of gadgets, accessories, and various appliances they have for sale. Aside from smartphones, laptops, earphones, and powerbanks, other items you would find there include smart TVs, electric fans, rice cookers, sun glasses, folding bikes, electric kick scooters, smart kettles, a robot vacuum cleaner, backpacks, bags, towels, rubber shoes, umbrellas, and more. One difference they have with stores of a similar nature is the quality of products that they carry. Most, if not all, are good and are built well. And it comes with affordable prices as well. You can check it out yourself, or you can browse through the catalog below. 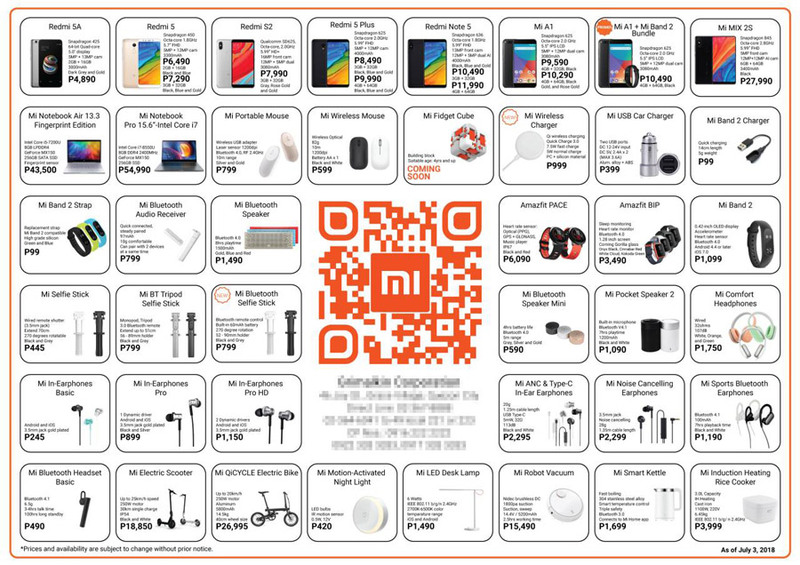 Here’s the list of items that you can get at the Mi Store. At the time of writing, there are currently two authorized Mi Stores in the Philippines — the flagship store in SM Megamall, and the first one in Trinoma. A third store will soon open in SM North EDSA. May 4 gbram po ba na redmi s2? May mi 8 na po ba sila? Tumatanggap po ba sila ng credit card?